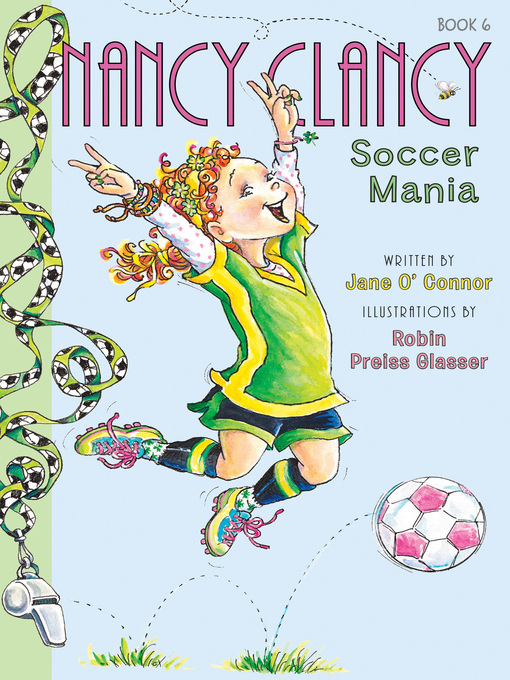 Nancy Clancy hits the soccer field in New York Times bestselling team Jane O'Connor and Robin Preiss Glasser's sixth Nancy Clancy chapter book. Normally, Nancy doesn't like dressing like everyone else. But wearing a soccer team uniform—well, that's different! Nancy adores being on the Green Goblins. She loves cheering for her teammates, sharing refreshments, and painting her fingernails bright green before every game. If only she wasn't cursed with slow legs! All Nancy wants is to be mediocre—or maybe even a little better than average. Will she reach her goal? Written with plenty of humor and sports action, this story is perfect for kids like Nancy who aren't the stars of their teams.